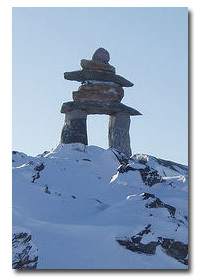 For thousands of years the Inuit in Canada's Arctic have created large stone markers called Inukshuk. These markers, acting in the capacity of a human, guide the travelers showing direction, warning of danger and marking places of significance (food, etc.). To CLI, the inukshuk represents "leading the way". Leaders, in this new age of management, are being asked to be more than managers of paper and email. They are being asked to be a true guide for their people. They are expected to be excellent role models of human values such as honesty, respect, acceptance, courage and faith in self and others. They are being asked to acquire strong coaching skills and work with their peers and employees to coach out fears and coach in solutions. Innovative solutions. 'Performance Tools for Leading Successful Teams'. 'The Supreme Approach to Leading Successful Teams'. One key success factor of this program is that Leaders begin an insightful journey into a thorough understanding of their leadership style with respect to both technical business competencies and relationship competencies. Armed with this understanding, they use a set of fast and effective proprietary Power Coaching® with Mind-Kinetics® (PCMK™) tools to transform the leadership culture within your organization. It is the complete package of front end engineering of the program together with one-on-one work, an orientation, intense workshop, tele/web classes, mentoring and follow-up that guarantees the success of these programs. Did we tell you that we guarantee results? Leaders learn tools to dramatically improve performance of employees. Leaders begin to truly live corporate values such as respect, courage and faith. Stop blame of self and others. Leadership teams rejuvenate. Leaders learn self-coaching tools to last a life-time. Lighten your leadership load! 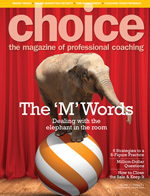 Learn award-winning tools to dramatically improve the performance of your employees. Everyone moves forward to enhance corporate and personal prosperity. Put the fear of managing "problem" employees behind you. It can be tough at the top. Walk away with greater inner peace and confidence. More time and energy is available to focus on business building. This program may include all the steps in 'Typical Approach' which you will find on the sidebar. The steps include personal one-on-one Power Coaching® and additional tele/web classes on specific areas of interest such as 'how to deal with difficult people'. Program #1: 'Performance Tools for Leading Successful Teams'. Contact us for a copy of our brochure which outlines: 8 Biggest Needs of Leaders Today, the full benefits of attending this program along with the details on what the participants will learn. Program #2: 'The Supreme Approach to Leading Successful Teams'. Through an initial dialogue with you we will create a customized Business Case with respect to launching 'The Supreme Approach" within your organization. Chances are you will want to start immediately. You'll be glad you did.